If you are trying to put on muscle mass without putting on fat, here are some tips on how to go about it. Add 2 calories per pound of body weight to your daily caloric intake. The added calories should be mostly protein and some complex carbohydrates (sweet potatoes etc), with no added fat calories. Spread these added calories equally among your 5 meals daily. For example, a 150-pound(70kg) person should add 300 calories per day to their diet; over 5 meals. This equals about 60 calorie increase per meal. With intense weight training, the additional 300 calories will result in a gain of approximately 1-2 pounds of added muscle a month. Most fast food restaurants along with most pastries and processed foods contain high amounts of fat, sodium, and sugar (usually simple sugars). The consumption of these foods will do little for your energy, except promote a high then a low in your blood sugar levels. In addition, they offer high levels of fat, usually of the saturated type. and they quite often contain large amounts of water-retaining sodium (salt). None of these qualities are beneficial to any type of athlete. Drink 8-10 glasses of water each day, or more. This ensures that you replace lost fluids during exercise. Don’t wait till you are thirsty. By then, you are in a depleted state. Drink these glasses of water consistently throughout the day, not all at once. Determine your daily protein requirements. Proteins that include the essential amino acids, that your body does not manufacture, are of utmost importance.Protein powder provides a great means to obtaining additional quality protein. Remember, protein are best assimilated when accompanied by some carbohydrates. Not only does high fiber in your diet help in the reduction of cholesterol; it also makes fats less likely to be absorbed into your body. You need to increase your lean body weight. The more lean weight you have, the more efficient your body moves and the higher your metabolism, even at rest. By increasing your lean body weight, your bones become more dense and your muscles, tendons and ligaments become stronger. The great side efffect of all this is that it’s easier to avoid getting fat. Remember, bigger muscles burn more calories than little ones! 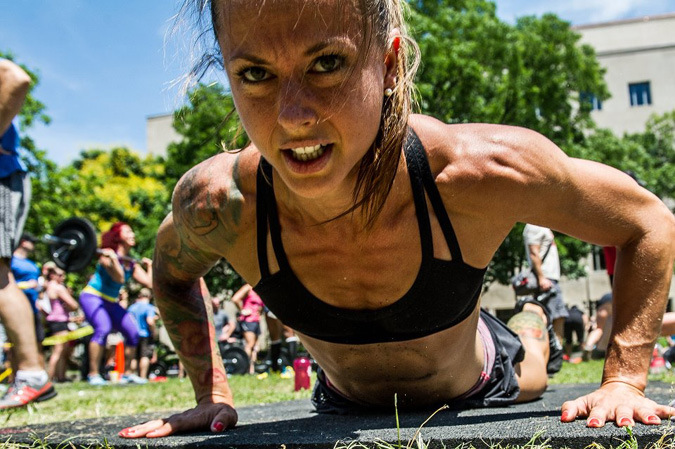 To be the best athlete you can be, is to know how to train properly, how to rest and recuperate adequately, and know how to choose the right foods, how and when to eat them, and when supplements are needed. 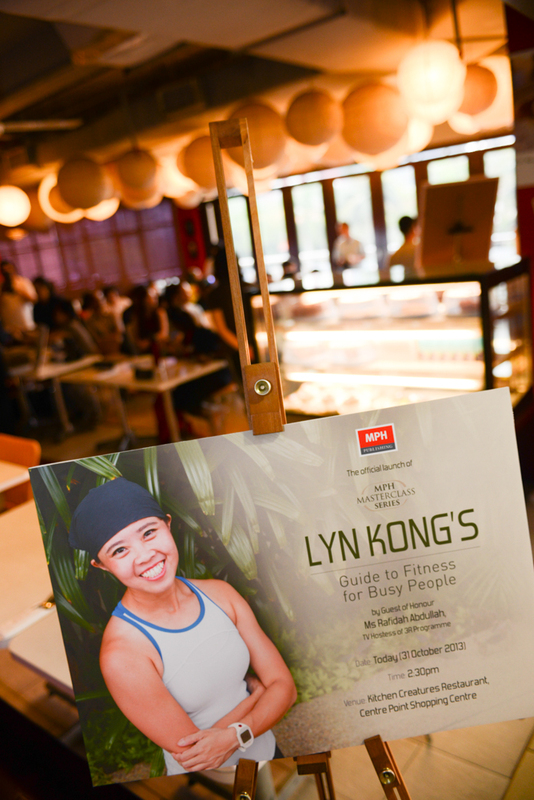 On the 31st of October, 2013, almost 60 people gathered at Kitchen Creatures, Centrepoint to celebrate the launch of my book, “Lyn Kong’s Guide to Fitness for Busy People”. Gym friends, school friends and my family got together and had a fun time. 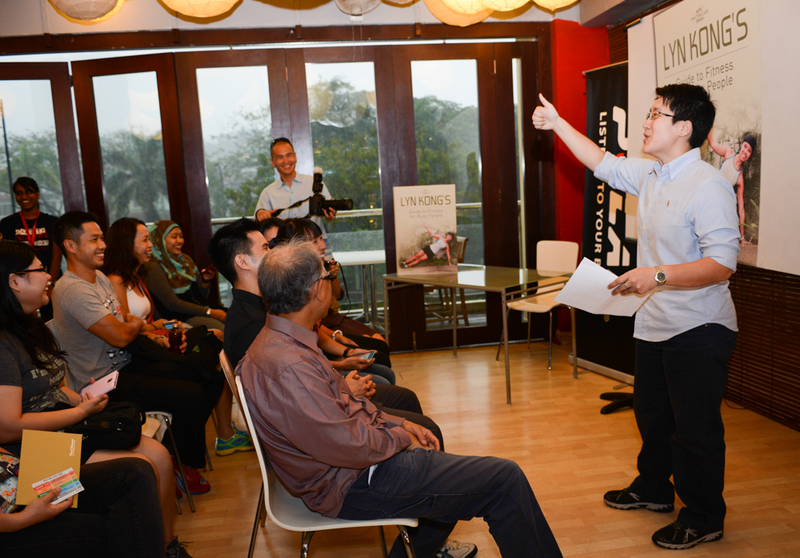 The Guest of Honor, Ms Rafidah Abdullah officiated the launch whilst accompanied by our special guest, Jonathan Wong. 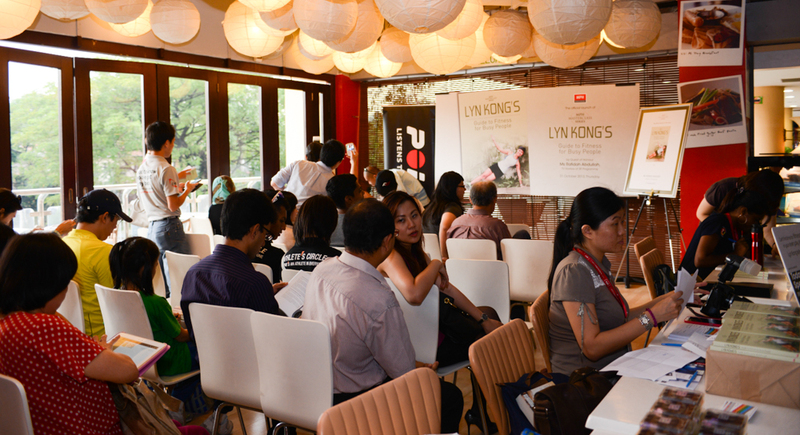 For more pictures friends who turned up and of the launch, click here (pics by Sze Ning) and here (pics by TriStupe). 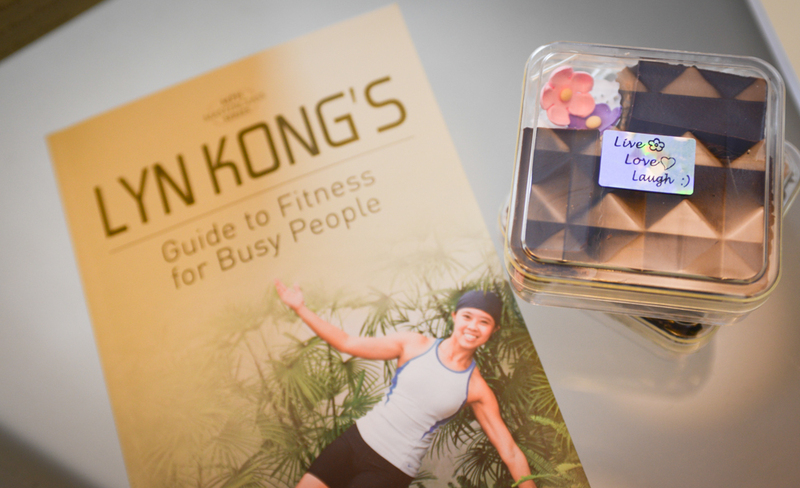 I would like to say a big “THANK YOU!” to all that came on that day despite the heavy rain , MPH Publishing for helping to shape up this event and publishing my book, and friends all around the world who “virtually” celebrated with me, in one way or another. And finally, to my parents and sisters who were always there by my side, thank you, I love you all very much.